As an artist I have always wondered why I am so drawn to fish. I dream about them. I know that they were a symbol for Jesus but I am not a traditional Christian. 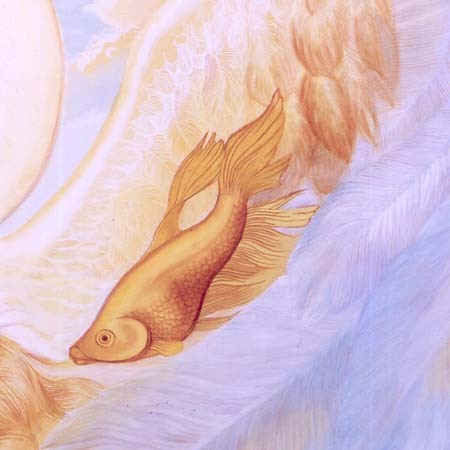 I can only guess that as my meditations tell me the fish represent flowing, they are singing into the ears of the sleeping, dying, dreaming, or meditating maiden. Singing of the blessings that come when we flow with the current of life.